In Cori McCarthy and Amy Rose Capetta’s upcoming book “Once & Future” — available March 26 — the forty-second incarnation of King Arthur is traversing planets controlled by a ruthless monopoly organization with the young wizard Merlin, a nontraditional band of knights, and the magic sword Excalibur by herside. Chris Colfer is planning many return trips to the Land of Stories. Craig Moody is that rare species, a native Floridian. Born in Pembroke Pines, “a suburban community that edges the beautiful Florida Everglades,” Moody enjoyed a career as a model and actor before he turned to what he calls “his life’s true calling: acting.” “The ‘49 Indian” is Moody’s first novel, published by his own company, Vivid Imagery Publishing. (AP) A Kansas public library has rejected a request to move three children's books with LGBT characters out of the children's section. In honor of the 16th anniversary of Matthew Shepard's passing, SFGN takes a look back upon some the books, plays and films that have attempted to explain his unique place in history. One Million Moms strikes again. (Mirror) As the global movements for sexual and gender equality have intensified over the last 50 years, queer storytellers continue to hold an integral role. Queer stories connect us, and they can convey what queer utopian ideals look like in action. Storytellers help us remember what is at stake. Miami Beach writer David Leddick introduces his new book, “I’m Not for Everyone. Neither Are You,” tonight at the Stonewall National Museum and Archives Wilton Manors Gallery, 2157 Wilton Dr. An effervescent octogenarian author, playright and performer, Leddick asserts himself a role as everyone’s favorite gay life coach in this smart, savvy and hilarious new book. Discover your signal inner style and apply it to your personal and professional relationships with Leddick’s unapologetic approach. Reading and book signing begins at 7 p.m. For more information, go to StonewallNationalMuseum.org. (EDGE) It would seem that youth suicide prevention organization the Trevor Project has taken on a new goal: LGBTQ literacy. 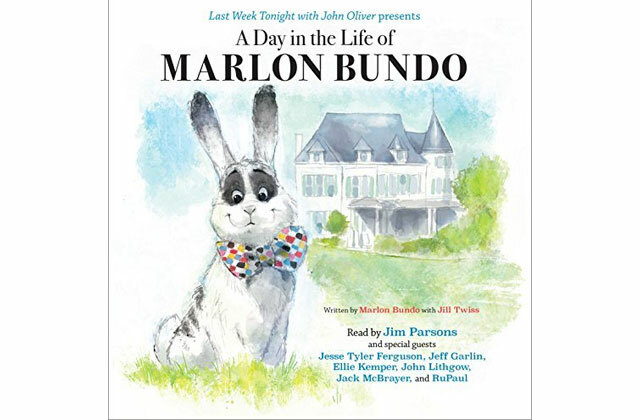 The advocacy group has donated 100 copies of the gay-friendly children's book "A Day in the Life of Marlon Bundo" to Immanuel Christian School, multiple media outlets report. You’ve never been so mad in your life.